With 27 years of practice experience, Robert Fink, DPM, located in North Brunswick, NJ, understands the importance of quality foot and ankle care in an environment where patients feel comfortable. He specializes in general podiatry, heel pain, bunions, and hammertoes. 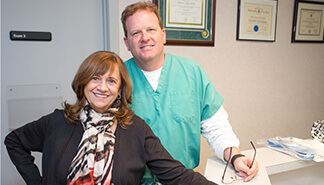 Although he is a skilled podiatric surgeon, Dr. Fink believes in using conservative approaches first.